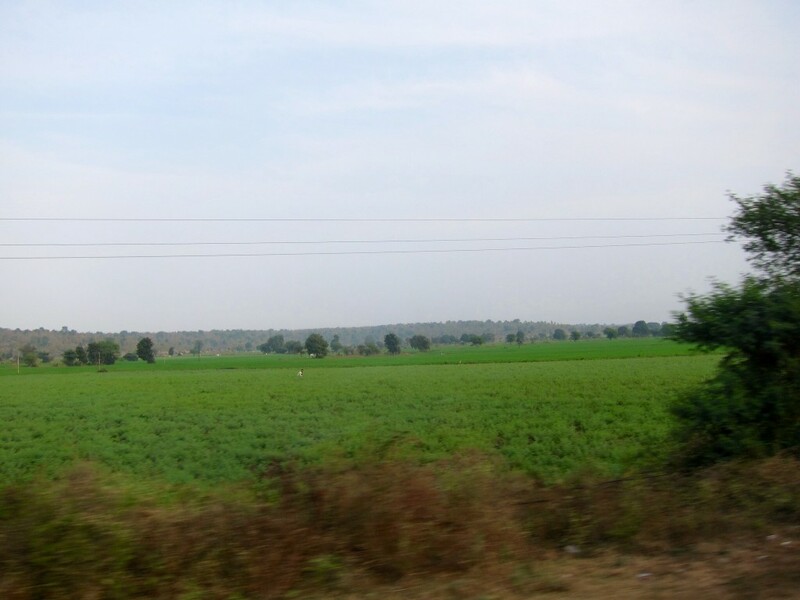 Khajuraho to Aurangabad, India. December 2013. I can’t call it anything but The Long March Forward. Just like Mao Zedong, we made a lot of sacrifices to get to our next destination, despite all the obstacles and obvious insanity of the idea. The original plan was to leave Khajuraho by train in the morning and transfer in Jhansi for an overnight train to Aurangabad, which would get us to the final destination by 11 am the next day. However, after listening to my complaints about the roach-infested, 8 hour delayed trip from Varanasi to Delhi, Dimitris came up with a “brilliant” idea to skip the train ride altogether and instead hire a car for a 1,000 kms road trip through midland of India. I have to admit that it was a suicidal idea because of many reasons; first of all, roads are outrageously bad and even a seemingly short 200 kms ride, can take up to 5 hours; secondly, we needed at least a few drivers willing to take us to Aurangabad; thirdly, spending 24 hours in a small car, in pretty much fetus position, unable to read, write or do anything but look out of the window and smell the burning rubbish all day long – wasn’t particularly my idea of comfortable traveling. Nevertheless, after making some calculations, we asked the guys at the Harmony Hotel reception to arrange us a car with two drivers. 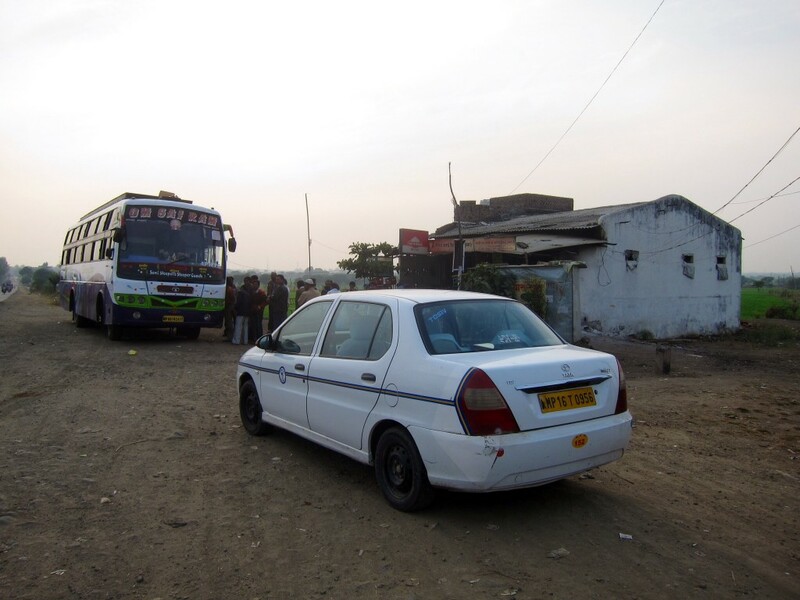 For Rs.24,000 they were willing to drive us non-stop to Aurangabad and so they did! We left Khajuraho at 9 am and proceeded towards Sagar and Bhopal. The scenery changed dramatically, and so did the temperature. We arrived to Bhopal, only 450 kms from Khajuraho, 10 hours later and then it became clear that we wouldn’t be able to reach Aurangabad any time before 7-8 am the next morning. We have to give a full credit to our drivers who did what they promised – didn’t stop but only for the short tea/bathroom breaks. More and more I started to appreciate their effort to get us to our destination safely and on time. 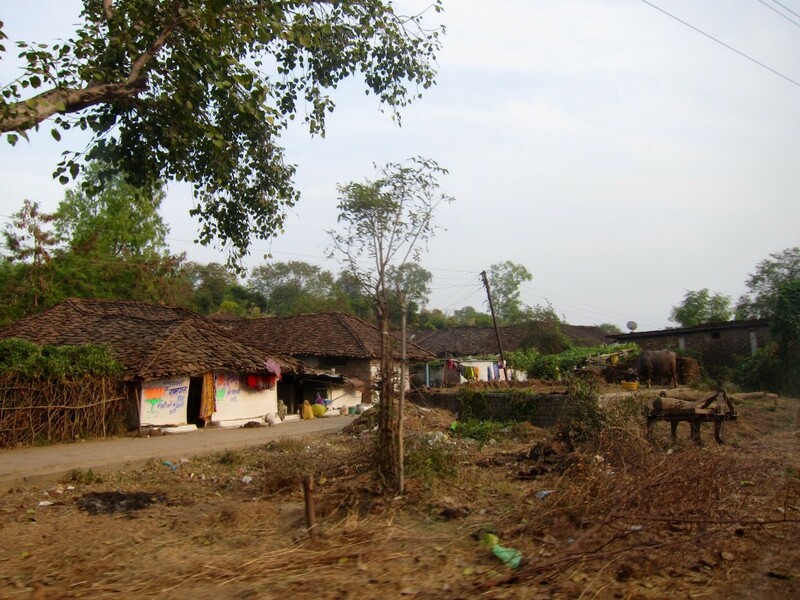 We drove through the poorest places of India but the farther we got away from big towns, the cleaner it became. We saw less and less rubbish laying along the roads; villages seemed better off the more south we progressed, it also became greener. After we reached Bhopal, i stopped counting the hours, because it didn’t matter anymore – we were destined to spend a night in a car. I was passing in and out of sleep, while Dimitris, being true self, diligently followed the drivers’ route on his Google Map. At some point, we stopped at the government – run canteen for the travelers, where all we could purchase was a Chinese noodle soup in a can (they had other food options but we decided not to risk). 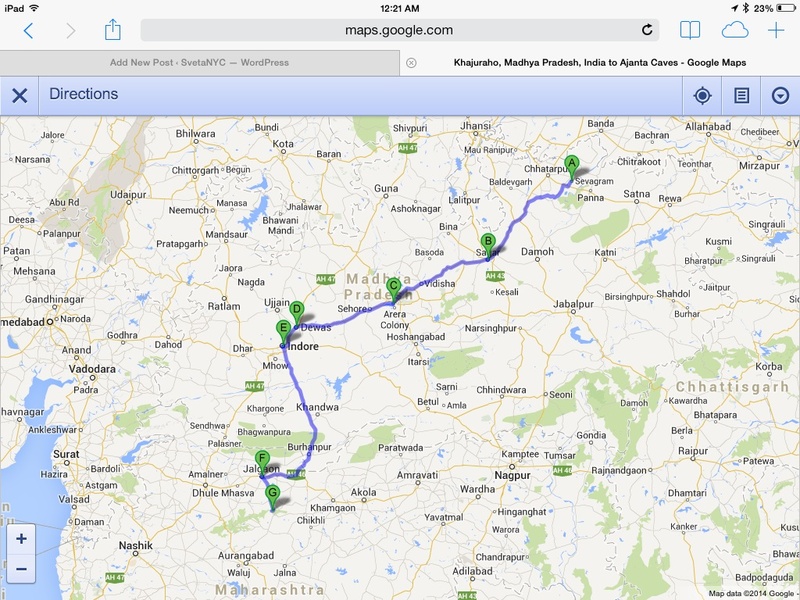 At midnight, after 15 hours in a car and many-many kms away from Aurangabad, i decided that we needed another master-plan. 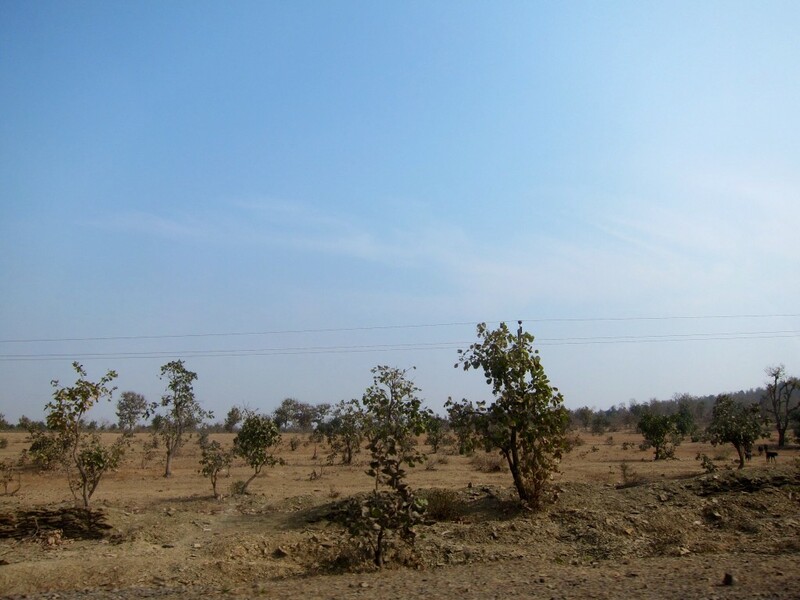 Because I planned our entire trip to India, i knew that our next point of interest – Ajanta caves – was located 105 km north of Aurangabad, and this was the direction we were driving from. So, I suggested to book a hotel there and shorten the drive by at least 2 hours. We quickly found MTDC Ajanta Tourist Complex, located a few kms from the caves, and booked a room, at that time, still in Indore, we knew that we wouldn’t check-in anytime before 5 or 6 am. And 5.30 am it was. It was a tiring but beautiful journey that stretched for almost 1/3 of India’s width. Very few, if any, outsiders ever got to see places we saw from the window of our car. I don’t know whether we would have embarked on this journey, if we had known it would take us 21 hours. However, we had no regrets, as this Long March from Khajuraho to Aurangabad became a topic of inside joke between Dimitris and I. 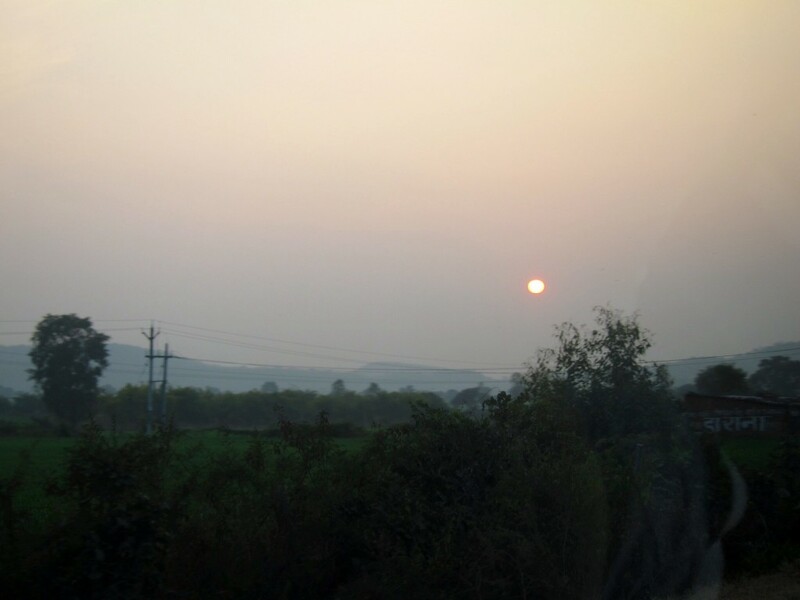 This entry was posted in Asia and tagged Ajanta Caves, Aurangabad, car, car ride, drive, google map, Hotel Harmony, Jhansi, Khajuraho, Mao Zedong, map, The Long March, travel across India. Bookmark the permalink. ← Khajuraho, India. December 2013.